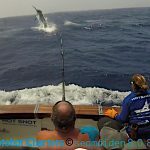 Giant Black marlin have been making their presence on the Great Barrier Reef. ,The last two weeks have been pretty amazing on board the Hot Shot. We had our friend Sean Van Veijeren from South Africa. 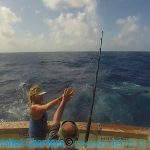 We have had some fantastic fishing and weather. 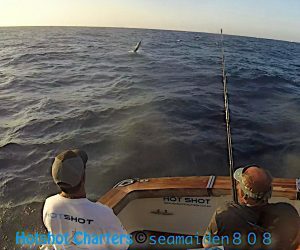 Not to mention 3 Giant black marlins that he fought for a total of 8 1/2 hours. Our first big girl came in hot and heavy on the short corner Pulsator lure. An amazing bite up close and personal! We fought her with Sean going to sunset for approximately 1 1/2 hours. 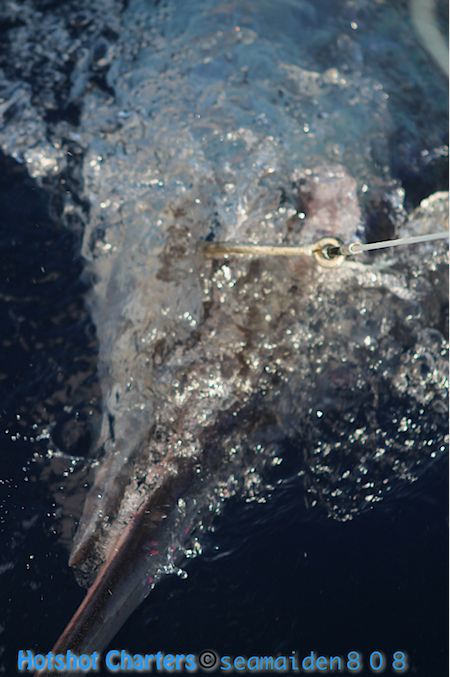 We were able to tag and release her in great condition. 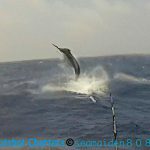 The second giant black marlin came in on a swimming queen fish. And although she only lunged from the water once, it was a pretty amazing lunge. Sean did another fantastic job fighting her. Once again he spent the best part of the 3 hour fight at or near sunset. We managed to get ahold of the leader a few times but she was unfortunately fouled hook so we never got a really good look at her. We fought her into the dark but she managed to pull the hook in the end. 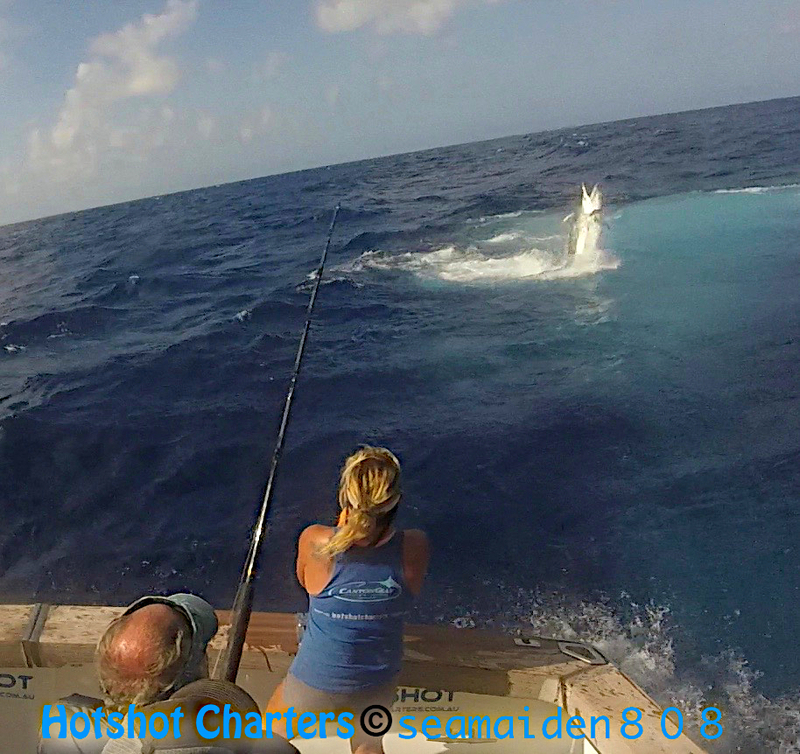 Sean’s last but by far one of the biggest giant black marlin was an epic battle of over 4 hours. This beauty of a fish took us wide and into the east. The amount of water this giant moved as she repeatedly did complete full body out of the water jumps was mesmerising. 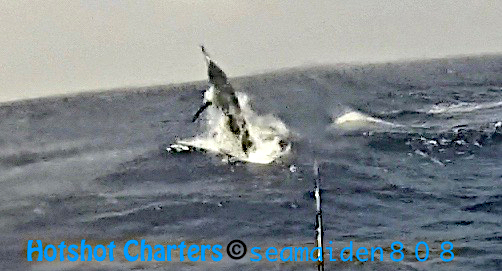 Again we had the leader a few times but unfortunately one of the little marlin swimming with her got itself wrapped up in the line causing the line to chaff and break. 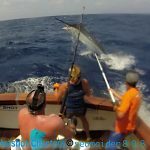 All in all we manage to catch and release 13 black marlin in 11 days from 250 up to over 1000 lbs.